The Barn is ideal for those with moderate storage needs. This traditional style looks great in any backyard, and offers the customer a lower profile building that is functional and attractive. The Lofted Barn has the most cubic feet of storage space offered on Cook buildings. The 6’2” sidewalls offer plenty of headroom, and, with a loft overhead, your floor space can be kept clear for larger items. The Lofted Barn is for those of you with lots of stuff! 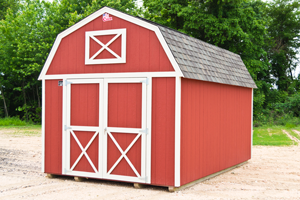 The Lofted Barn and Lofted Garage have the most cubic feet of storage space offered on Cook buildings. The 6’2” sidewalls offer plenty of headroom, and, with a loft overhead, your floor space can be kept clear for larger items. The Lofted Garage is for those of you with lots of stuff! The Lofted Garage includes a 9’ wide 6’6” high steel overhead door, floor joists, 12” O.C. decked with 3/4” plywood, one window, and a 48” side entrance door on a lofted barn. *Note: Some coastal states require the use 8’ garage doors due to hurricane codes. See your dealer for details. 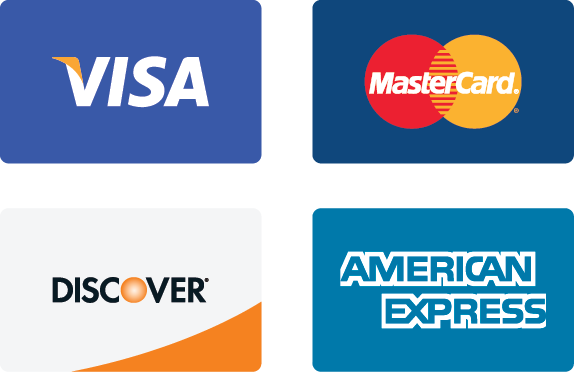 – Includes a 9’ wide 6’6” high steel overhead door, floor joists, 12” O.C. decked with 3/4” plywood, one window, and a 48” side entrance door. Includes two 24” x 36 windows with shutters. Includes a partition wall and two workbenches. The small room measures 8 x 12 and includes 34” double doors with a 67” opening. The dimensions of the large room vary based on the length of the building and includes a single 36” door with a 35” opening. Only available as a 12’ wide building measured eave to eave. The loft floor can be raised 6″ at a cost of $100. This will reduce the loft space and there isn’t a discount for the removal of the loft floor. A 36″ x 80″ steel door can only be added on the gable ends of the building. Select the 12-foot Handyman size if you want to use your shed as a multipurpose space or convert it into an ideal studio or work area. Eight-foot wide buildings have a 48″ single door with a 47″ opening. Ten-foot wide buildings have 34″ double doors with a 67″ opening.